The usage, bookings, payments and all related activities by the user on www.shotleft.co.za are entirely between the user and the Tour Operator/Travel Agent and the related service providers. South African Tourism, its agent/s and/or its employee/s shall not be liable for, and the users/s hereby waive/s and abandon/s any claims of whatever nature including but not limited to that fraud, misrepresentation, injury, loss or damage of whatever nature, whether arising from the South African Tourisms default, negligence or otherwise as a result of the usage of www.shotleft.co.za. This disclaimer notice is valid and automatically considered as accepted by users of www.shotleft.co.za. 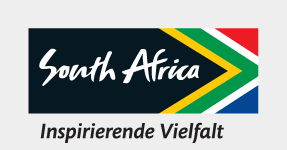 Any personal data (for example, your name, address, telephone number or e-mail address) you transmit to the Site by electronic mail or otherwise will only be used by Tourism Grading Council of South Africa for internal research purposes, unless you have explicitly stated that you would like to receive emails containing news, promotions and competitions. Any communication or material you transmit to the Site, such as questions, comments, suggestions or the like, will be treated as non-confidential and nonproprietary. We will not provide your information to third parties. ALL CONTENT IS SUBJECT TO CHANGE AND IS PROVIDED TO YOU "AS IS" WITHOUT ANY WARRANTY OF ANY KIND, EITHER EXPRESSED OR IMPLIED, INCLUDING, BUT NOT LIMITED TO, THE IMPLIED WARRANTIES OF MERCHANTABILITY, FITNESS FOR A PARTICULAR PURPOSE, OR NONINFRINGEMENT. Please note that some jurisdictions may not allow the exclusion of implied warranties, so some of the above exclusions may not apply to you. Without limiting the foregoing, Tourism Grading Council of South Africa neither warrants nor represents that your use of any Content will not infringe the rights of any third parties nor that the Content will be accurate, complete or up-to-date. Additionally, with reference to any discussions, chats, postings, transmissions, bulletin boards, and the like that may be on the Site, Tourism Grading Council of South Africa assumes no responsibility or liability arising from any infringing, threatening, false, misleading, abusive, harassing, libelous, defamatory, vulgar, obscene, scandalous, inflammatory, pornographic, or profane material or any material that could constitute or encourage conduct that would be considered a criminal offense, give rise to civil liability, or otherwise violate any law, contained in any such locations on the Site. YOUR USE OF THE SITE IS AT YOUR OWN RISK. NEITHER TOURISM GRADING COUNCIL OF SOUTH AFRICA, NOR ANY OF ITS AFFILIATES, OFFICERS OR DIRECTORS, NOR ANY OF ITS AGENTS OR ANY OTHER PARTY INVOLVED IN CREATING, PRODUCING, OR DELIVERING THE SITE, ARE LIABLE FOR ANY DIRECT, INDIRECT, PUNITIVE, INCIDENTAL, SPECIAL, CONSEQUENTIAL OR OTHER DAMAGES ARISING OUT OF OR IN ANY WAY CONNECTED WITH THE USE OF THIS SITE OR CONTENT WHETHER BASED ON CONTRACT, TORT, STRICT LIABILITY OR OTHERWISE, EVEN IF ADVISED OF THE POSSIBILITY OF ANY SUCH DAMAGES. Please note that some jurisdictions may not allow the exclusion of certain damages, so some of the above exclusions may not apply to you.